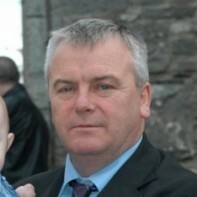 Ray Kelly has announced that he is running as an independent candidate in Dublin South West. Kelly previously ran unsuccessfully in 2003 and 2007 on a platform of fathers' rights. Kelly is the president of Unmarried and Separated Father's of Ireland. should have been given a chance.